GOODBYE BALKANS? GOODBYE, BALKANS! is an art initiative aimed at raising political awareness about important democratic issues in the Region. This initiative is envi- sioned as an art competition that will result in a two-week art exhibition at the Centre of Contemporary Art of Montenegro and awarding the best art works. The contest is part of the project “Strengthening Western Balkans Regional Chevening Network by tackling common regional democratic challenges” that is implemented by the UK Alumni Association of Montenegro- MAUK, and financed by the British Embassy Pod- gorica under the Chevening Alumni Programme Fund (CAPF). 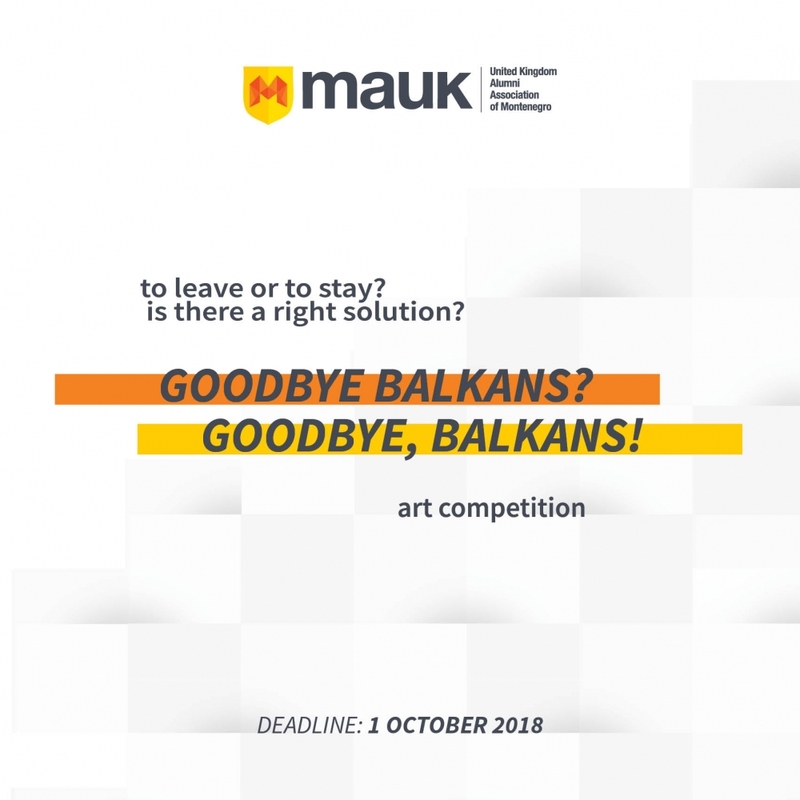 We are using art to acknowledge the problems youth in the Balkans are dealing with, to find possible solutions to the problems, to call for respect of human rights and democracy, to react and shout out, to contribute to the perception of the younger generations in the Balkan, and to promote artists and their ideas in these countries. Be part of our story and show your impact on the society in the whole Region! Please find all the necessary information here.